A domesticated cow in Poland seems to have decided it doesn’t want to be so domesticated anymore. The animal escaped from its pen on a farm last fall and was then spotted hanging out with a herd of around 50 bison near the Bialowieza Forest. Bison expert Rafal Kowalczyk told The Associated Press he’s never seen a cow living with bison before this – and it seems to have stayed with them for several months now. The adventurous cow in Poland picked freedom and left a farm, heading to roam with wild bison instead. The BBC said ornithologist Adam Zbyryt spotted the cow first, telling Polish news outlet TVN24 in a November piece, “It’s not unusual to see bison near the Bialowieza Forest, but one animal caught my eye. It was a completely different light-brown shade from the rest of the herd. Bison are chestnut or dark brown.” With binoculars, he was able to see this animal was, in fact, a Limousin cow. She looked healthy, and TVN24 said it seemed the herd had fully accepted her. Naturalists figured the cow would meander back to its pasture when winter really came on. But the animal has been with the herd for around three months now. Kowalczyk, director of the Polish Academy of Sciences’ Mammal Research Institute, spotted her recently, and she still seemed healthy. She’s been glimpsed on the edges of the herd; Kowalczyk told TVN24, “She is not very integrated with the group, as bison act like one organism and she stands out.” But the presence of the herd could have kept her safe from wolves throughout the winter. The cow’s wild adventure will likely need to end before spring. Right now, she’s too young to breed, but if she mated, she could die during birth because the hybrid calf would be so large. The offspring could also contaminate the endangered bison population with hybrids, so the cow will probably need to be recaptured. 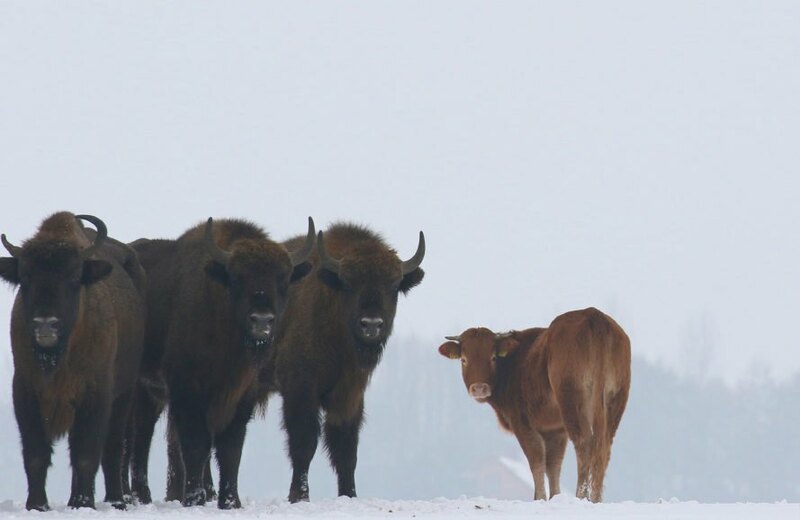 A cow in Poland has been living with a herd of bison, as seen in this picture from biologist Rafal Kowalczyk. 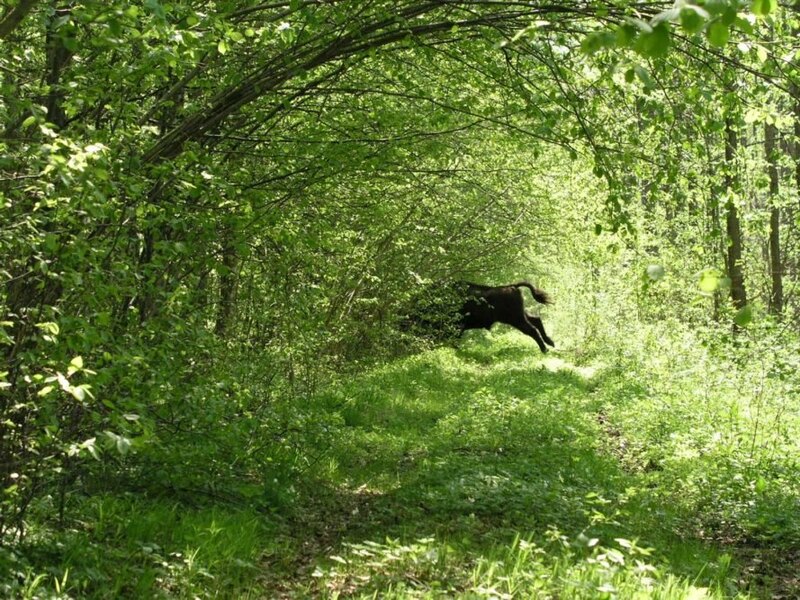 The herd of bison and cow have been seen near the Bialowieza Forest. The cow appears healthy and has been living with the bison for several months.